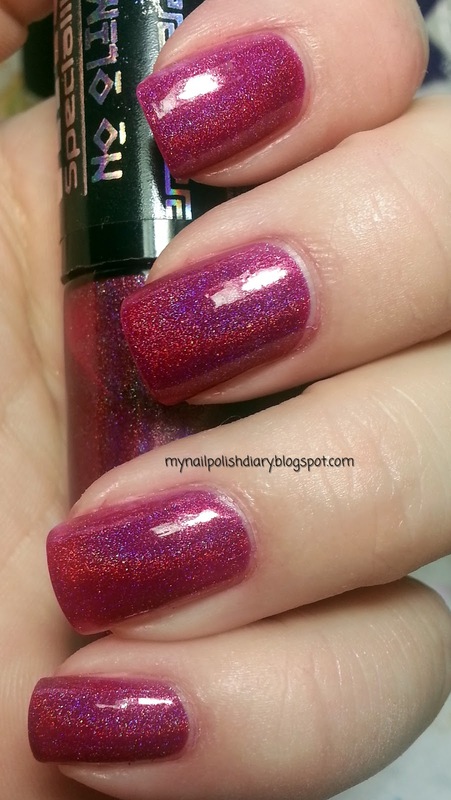 Hits Atena is a berry pink holographic from Brazil. Released in the Specialita Hits no Olimpo Collection. At least I think that's the name of the collection. The holo effect is perfect. Absolutely gorgeous. The wear on this isn't bad and the formula is good as well. The brush, however, horrible! Well worth it though. This might be a dupe for OPI DS Exclusive. I'm going to do a comparison soon for confirmation.